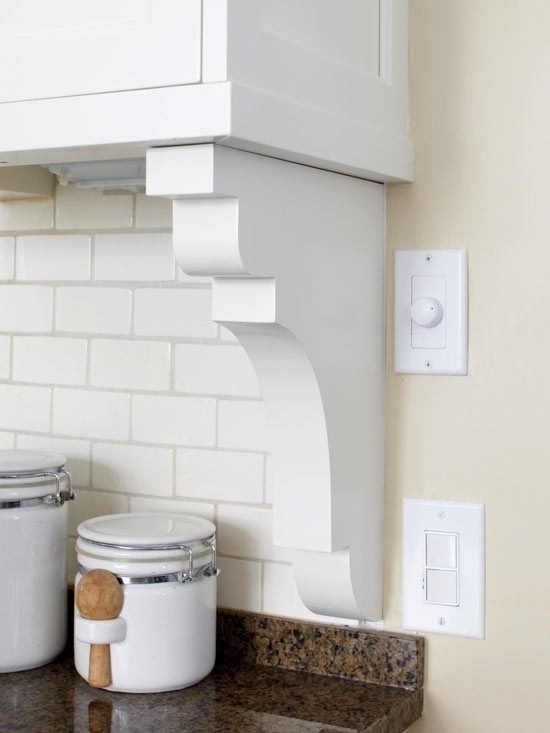 In every house there are always a couple, if not more, things that just don”t align with other things and never fit in the surrounding area. 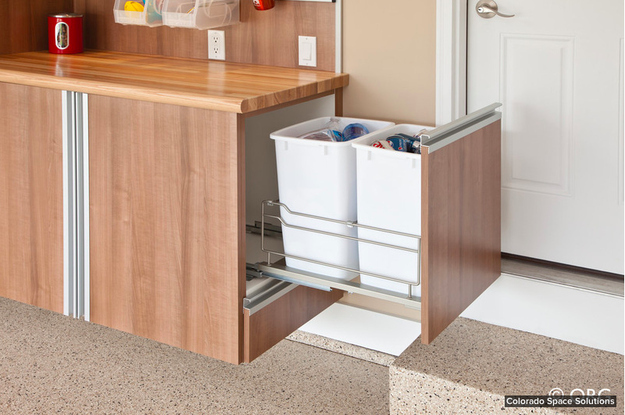 These kind of things are usually small things and that is why they are most commonly called an “eyesore” because it kinda gives us an unpleasant sight which annoys us even if we are not looking or thinking directly about it. 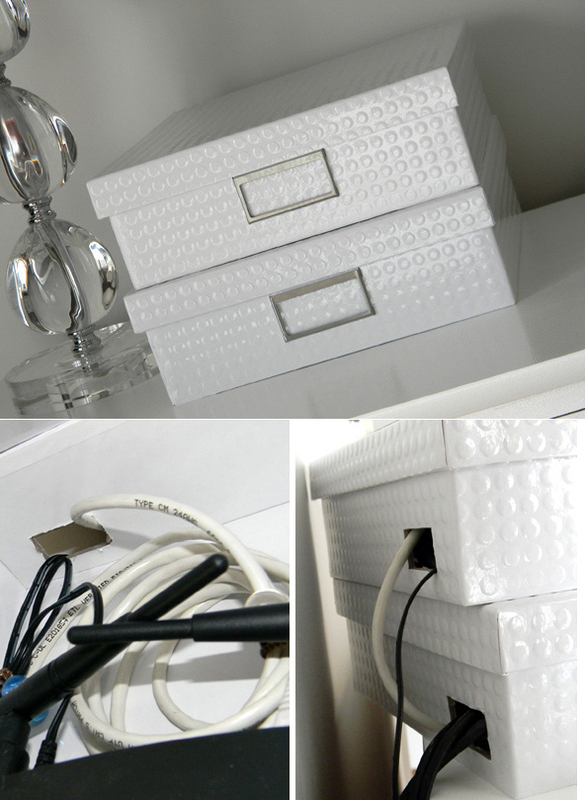 Although very small, an eyesore is a small problem we will always notice when we once see it and it will always annoy us. 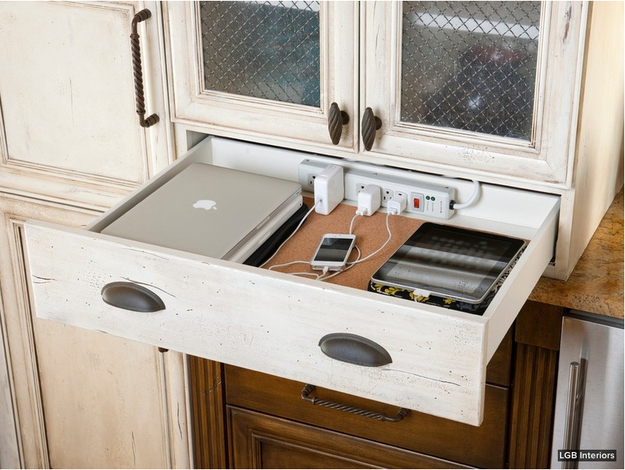 So, in order to help you get rid of these eyesore accents in your home, we have made this useful and creative collection of 15 Handy Ideas To Hide The Eyesore Accents In Your Home which will give you some ideas which will help you remove eyesores in your home with style. 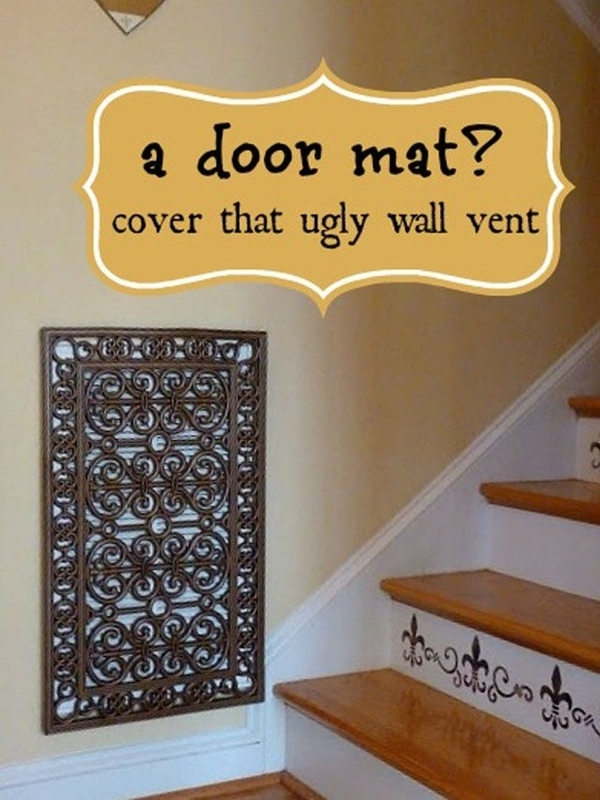 Use door mats and spray paint to make a decorative vent or electrical box cover. 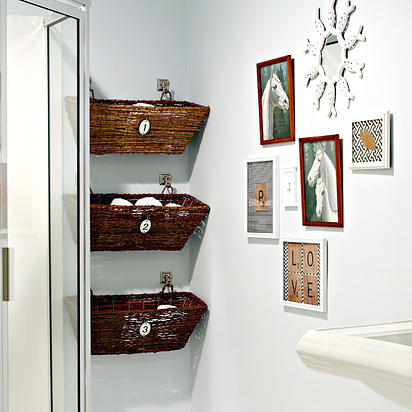 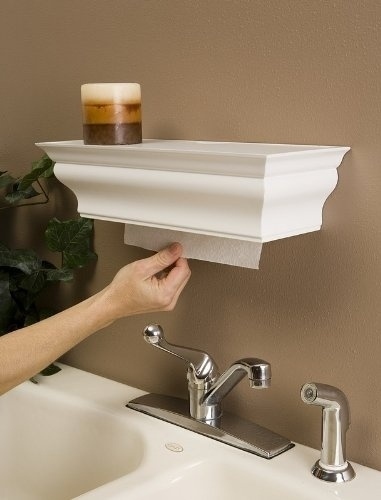 Hide your paper towels with a crown molding shelf. 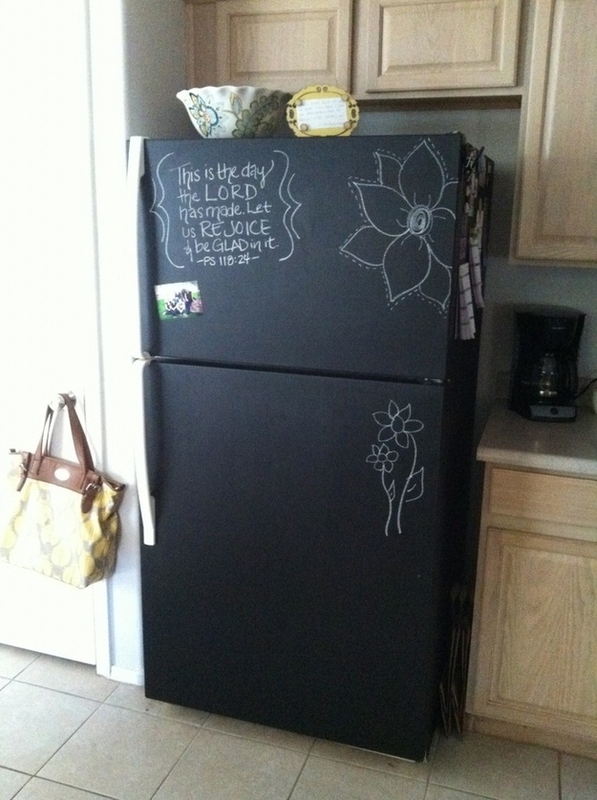 Put wallpaper on your fridge or give it a coat of chalkboard paint. 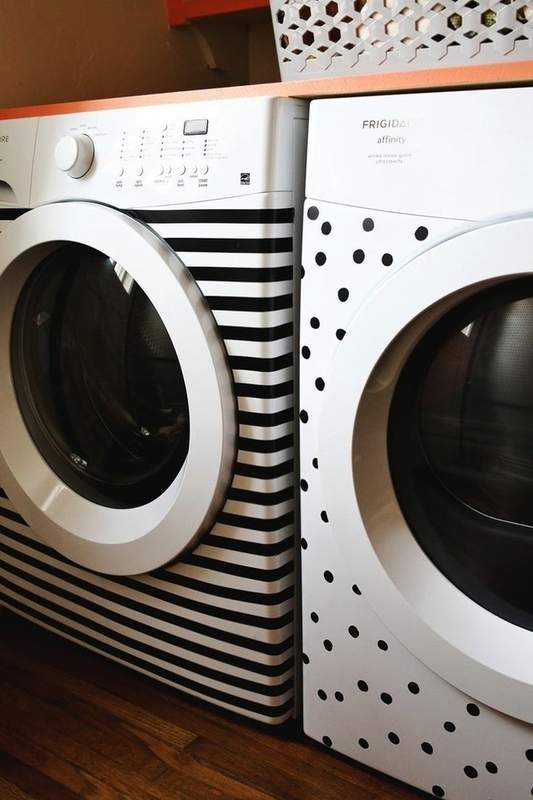 Use electrical tape to makeover your washing machines. 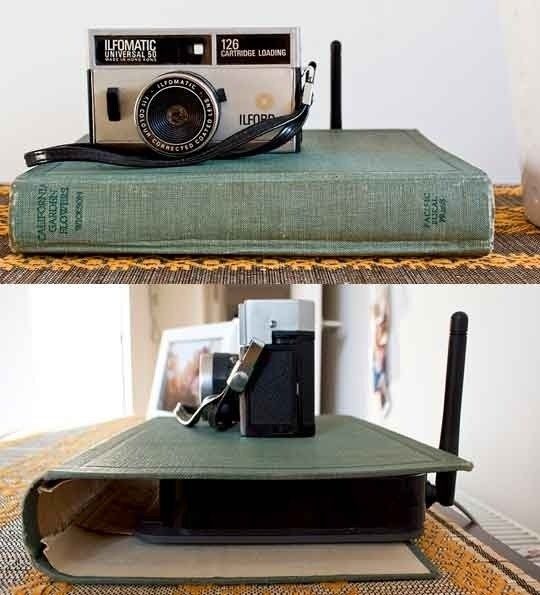 Hide your router in fancy storage boxes or in hollow old books. 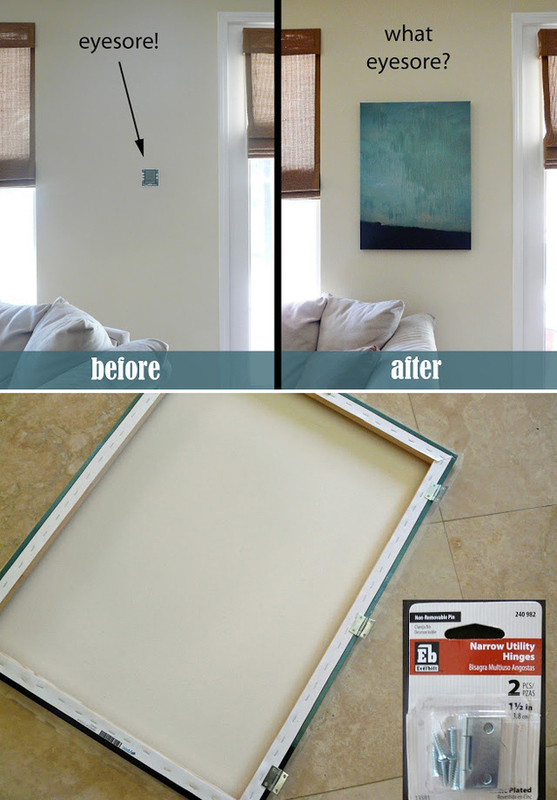 Hide a thermostat or home alarm eyesore with a canvas on hinges. 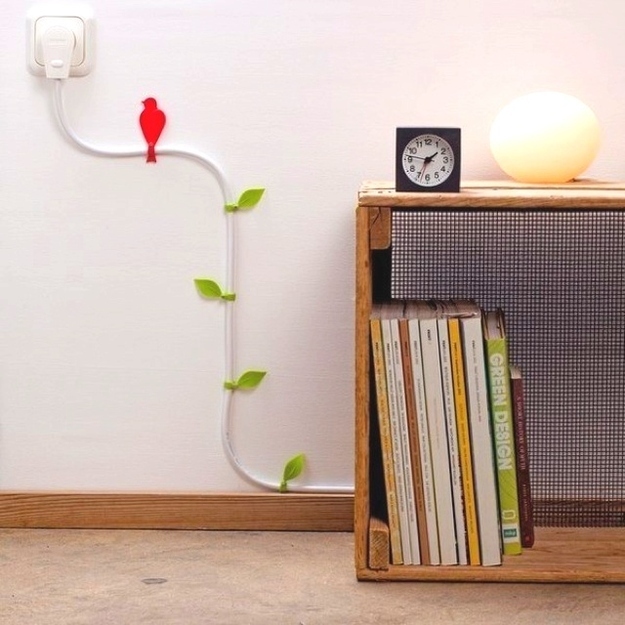 Camouflage an oddly-placed light switch plate with a photo gallery. 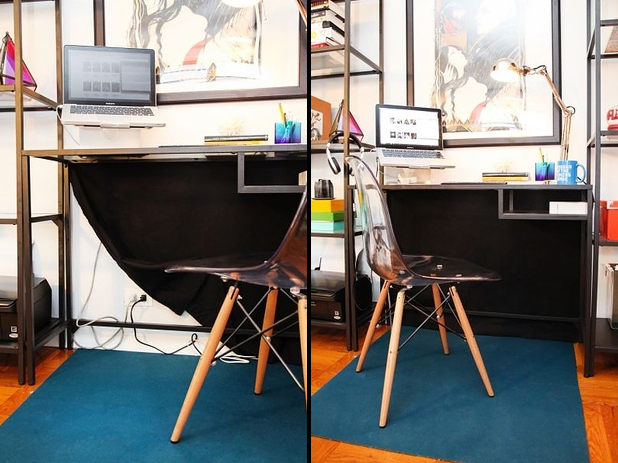 Hang a black dropcloth behind your desk to hide a tangled mass of wires. 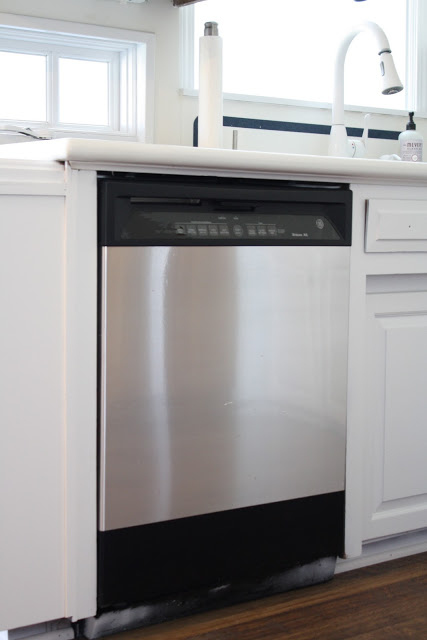 Give your kitchen appliances a stainless steel makeover with stainless steel contact paper. 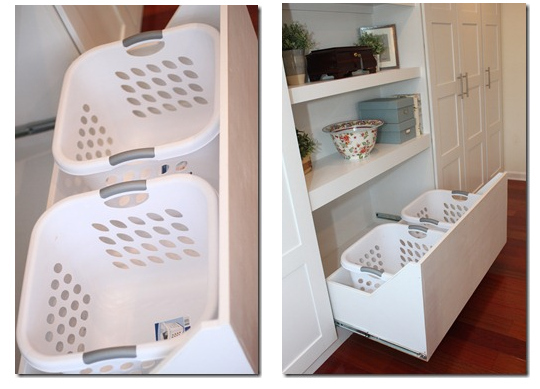 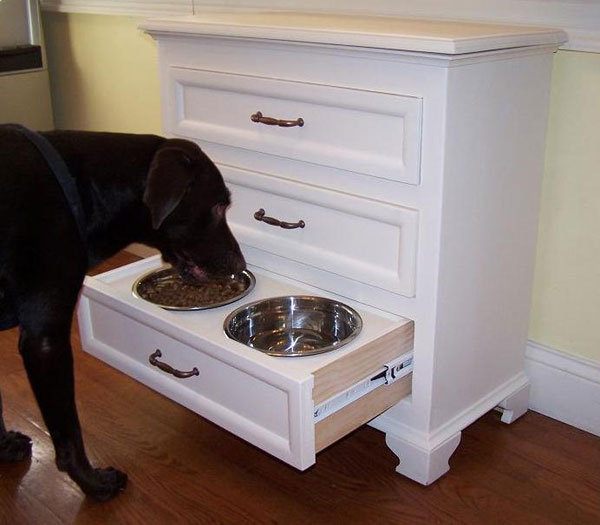 Turn a low drawer into a pet feeding hutch.